Revamping your kitchen is definitely an enjoyable and rewarding project, and selecting a kitchen theme is one of the first things you need to do before embarking on this very important home improvement venture. Your kitchen is one of the main focal areas in your home, and so it deserves only the best, and most creative, ideas. Adding special touches to your kitchen, such as the use of fake pies, fake breads and other faux food decor will make your kitchen feel homey while projecting a unique sense of style. Simply put, with the right themes, you can create the perfect kitchen for where you'll want spend quality time with loved ones. You can never fully and successfully revamp your kitchen without making the space functional. After all, the kitchen is where you cook and prepare your food. It is where you do important chores and routines, such as preparing that scrumptious southern dish you've been wanting to try your hand at, enjoying that delicious meal with family and friends, washing the dishes, and other daily activities. This place in the house is practically where much of the action takes place. Therefore, it deserves to have the best theme where you can both enjoy the area and be productive. A functional kitchen allows you to do your activities and chores without hassle and with proficiency. On top of making your kitchen a workable space in the house, revamping it with just the right theme could also boost its aesthetics and the overall look of your home. You can inject a new ambiance and environment in this special place to set the mood. 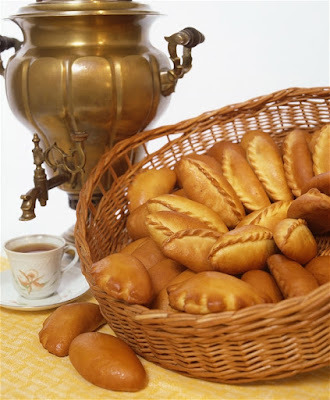 Try a few simple loaves of fake bread in a basket to create a warm and inviting environment. Since important activities happen in the kitchen, you can be sure that you will further enjoy every moment here, especially with visuals that entertain or keep you relaxed. Adding a basket of fake bread can add real charm and warmth to a kitchen. There are numerous themes to choose from when you consider updating your kitchen. Some of the most popular and highly preferred kitchen theme ideas include French cottage, farmhouse, contemporary, traditional, Tuscan, and there are so many more. Be certain that the theme you choose reflects and represents what you want to express through your kitchen design. Themes also give you more convenience in choosing the types of décor and ornaments you can accentuate your kitchen with. I LOVE this retro kitchen and the stainless steel accents! Kitchen updates could be major or minor home improvement projects. If you want cost effective kitchen revamps, you can make minor changes or updates such as redecorating with new accessories or repainting the kitchen walls. More expensive and demanding improvements are major renovations such as refurbishing or replacing all the cabinets or installing a new kitchen island and countertop. Check your budget and see which of these kitchen improvement projects are ideal for you and which you can realistically afford. Updating your kitchen is possible with the right theme and the matching accessories that help you showcase that particular theme. It is easy to embellish the kitchen if you have an ensemble of accessories that would depict a specific genre or design. There are various accessories and decors to accentuate your kitchen with including wall frames, corner shelves, lighting fixture, ceramic pottery, and so much more. Contemporary Kitchen Theme – The modern approach is quite popular because of its clean, sleek and space-friendly design. 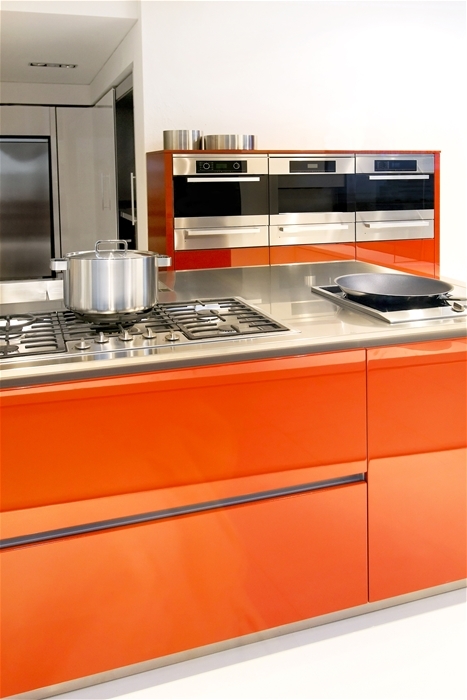 Contemporary kitchens highlight the use of stainless steel fixtures and appliances. It also emphasizes the importance of architectural light fixtures and the use of wood tones from dark to light. Modern or industrial kitchen themes have commercial-grade appliances, open shelving for dinnerware and cooking implements as well as restaurant-style faucets. Farmhouse Kitchen Theme – Give your kitchen a country, rustic, and laid back look. You need not live in a barn in order to have that farmhouse ambiance right in the heart of your home. This type of kitchen theme has trademark looks such as the rugged and vintage accents. You can find accessories to embody the farmhouse aesthetics such as enamelware pitchers and pots, soup tureens, and platters. Whether you are living in a real farm or just want a farmhouse ambiance in your urban home, this theme is such a remarkable sight to behold. Tuscan Kitchen Theme – If you are drawn to the classic Tuscan and Italian look, a Tuscan themed kitchen is perfect for you. Express your style using old-world Italian furniture as well as countryside décor accessories. You can transform your kitchen and give it that enchanting and sophisticated Italian look with the right color and texture. There are faux organics and fake fruits found in the Mediterranean regions, giving your kitchen an instantly inviting and warm ambiance. French Cottage Kitchen Theme – Convert your kitchen into a French cottage sanctuary with the best kitchen themes today. Create your masterpiece using classic French accessories and decorative items. Some of the trademarks of French cottage themes for the kitchen include tall white cupboards, hexagon knobs planks of knotty grooved pine on the walls and the vintage chandelier. This is an eccentric theme simply because it perfectly blends European elegance and rustic old-world design. Black and White Monochromatic Kitchen Theme – Modern kitchens and practically other rooms in the house have adapted the popular black and white monochrome. The kitchen is based on just one color with neutral shades. Black and white is the popular hues, however, there are other tones, such as whites and grays. The monochromatic theme is evident on all aspects of the kitchen including the countertops, appliances, cabinets, and accessories. Classic and Vintage Kitchen Theme – In today’s world, vintage and classic themes are also in demand. Experience your mother’s or grandmother’s kitchen all over again through putting vintage elements in the area here and there. You can also incorporate the old and new for a more eccentric finish. Kitchen themes are diverse and exciting to explore. The right selection of themes for this area of the house will not only upgrade its functional and workable features. Kitchen updates boost your home aesthetics and market value as well. Here are a few of my personal favorite places to scout ideas for kitchen themes. Find an array of thrifty decorating ideas with a contemporary flair here. Get a conglomeration of beautiful DIY ideas for any theme from Kristi. Love the house you're in! Get inspiring ideas from Pam here.